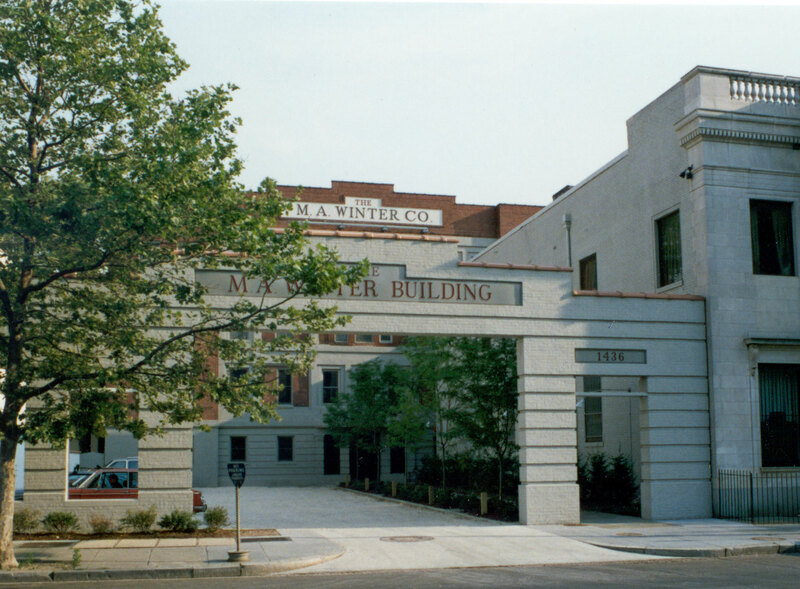 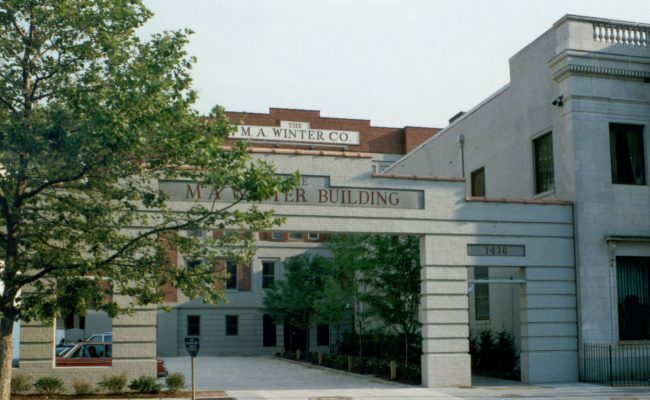 Constructed in 1908, this former office/warehouse on Washington’s U Street corridor housed numerous enterprises over the next 80 years, including a paper manufacturer and offices for the armed forces during both World Wars. 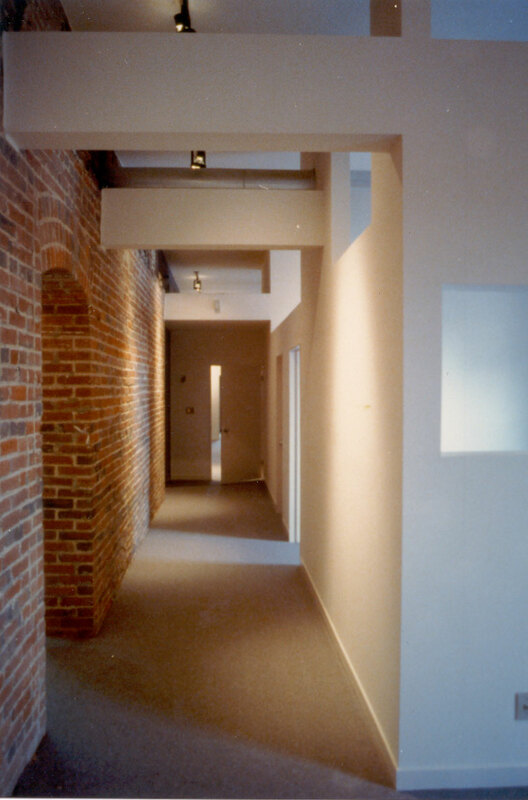 Two decades after the 1968 riots devastated the area, the building was reborn in the shape of commercial lofts. 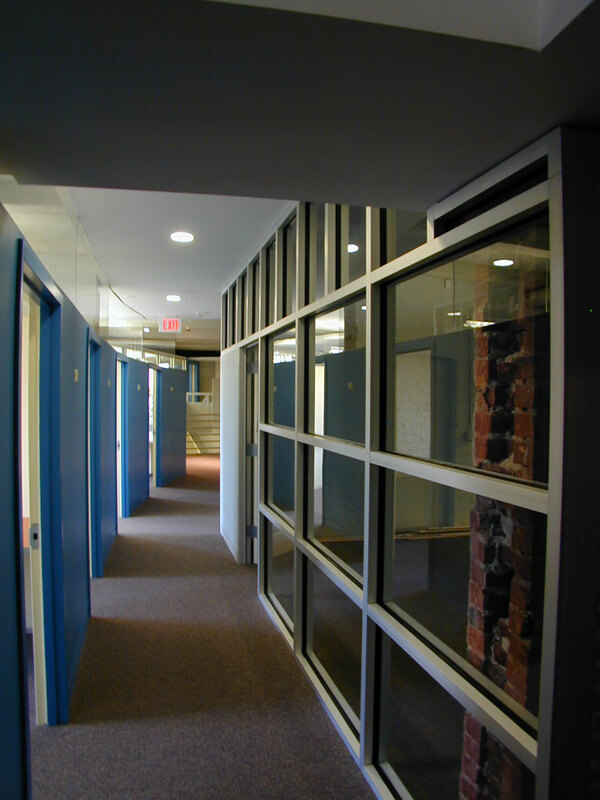 Our challenge was to enliven and revitalize both the building and neighborhood while fitting a broad range of offices into the 16 suites strategically placed and served by compact, efficient building utilities and a new elevator core. 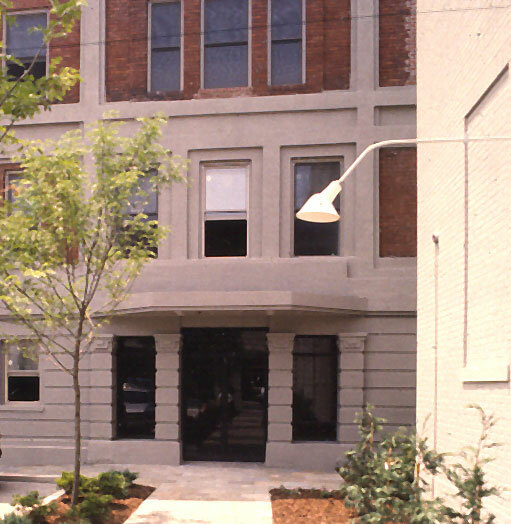 Since the building is set back from the street and partly obscured by another building, we created a street presence with a new brick gate, its forms echoing the building façade. 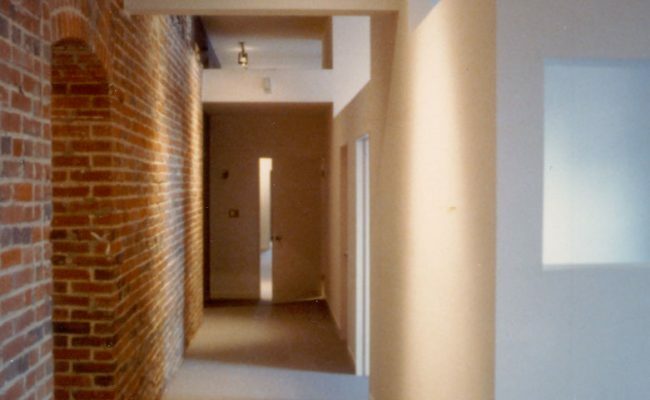 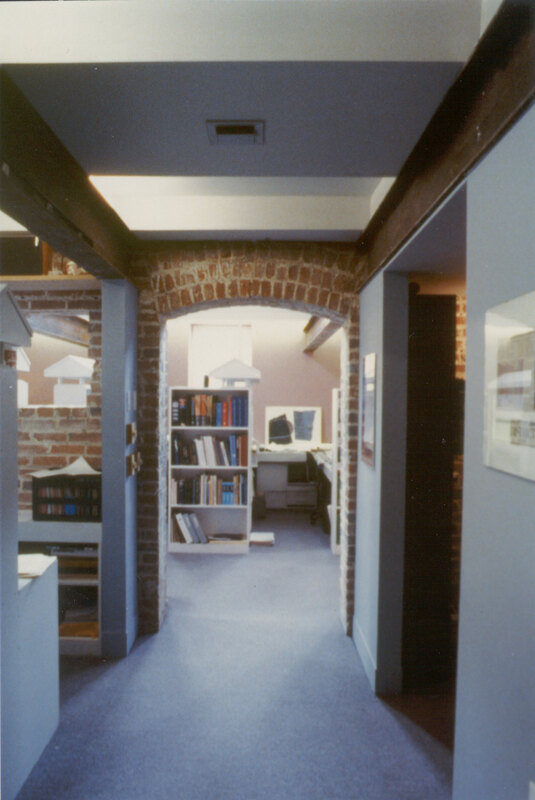 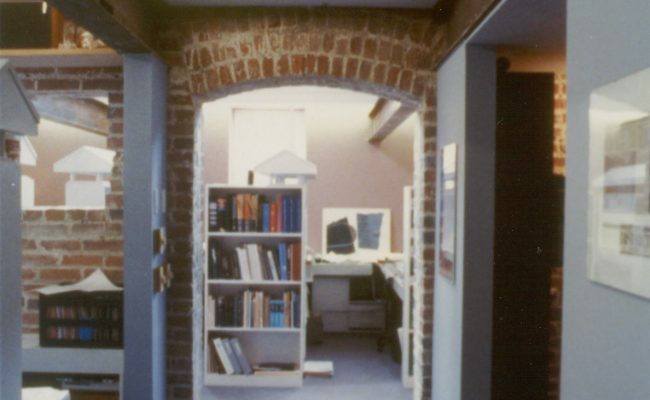 Where appropriate, we maintained the “loft aesthetic”—rough masonry walls, exposed beams, cylindrical ductwork and track lighting. 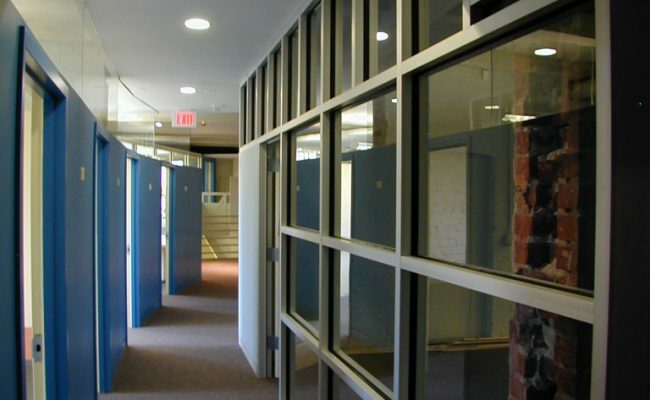 Partitions with glazed transoms allow daylight access deep within the office interior.